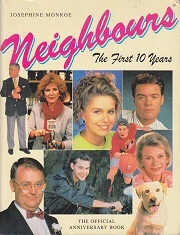 Neighbours is an Australian soap that started in 1985 and is still running today. At least three books were published in Australia and a series of nine numbered books by Star Books (1987 - 1989) in the UK. A further two 'Untold Stories from Ramsay Street' were printed by Mandarin Books in 1989. Prior to the UK paperback numbered releases, The Leisure Circle Books published hardback versions of the same stories, but with titles instead of numbers. I only have five of these in my collection. In 2005 Funtastic Books published four new novels to celebrate 20 years of Neighbours.